Apprising Ministries is an online apologetics and discernment work the Lord has raised up to help you see the abysmal apostasy spreading now even throughout the mainstream of the evangelical community. 1 Peter 4:17 judgments sent by Jesus Himself are falling upon His visible church as spiritual darkness grows. A good example today is the Christian Post piece Romney Not Cultist, Fuller President Says Cautiously. As Mitt Romney’s Mormon faith has become an issue in the GOP presidential nomination race prompting the Latter-day Saints to launch an ad campaign, President of Fuller Theological Seminary Richard J. Mouw has declared, though cautiously, that Mormonism is not a cult. “While I am not prepared to reclassify Mormonism as possessing undeniably Christian theology, I do accept many of my Mormon friends as genuine followers of the Jesus whom I worship as the divine Savior,” Mouw, head of the Pasadena, Calif., seminary wrote in an article on CNN Sunday. Here, let me help out this president of one of the most visible evangelical institutions in the United States: No, faithful Mormons cannot be Christians; Mormonism is a non-Christian cult, period. Who cares if Richard Mouw’s not prepared to reclassify Mormonism; he hasn’t any authority to do so anyway. I have pointed out before that I’ve been in the ministry fields of counter-cult evangelicalism, apologetics, and Comparative Religion for nearly 24 years. I even had the privilege to live—as well as minister—in a heavily Mormon area of southwestern Wyoming for a good 10 of those years. There’s the problem; foolish interfaith dialogues that, just the same as ecumenical talks with the Roman Catholic Church, simply cannot go anywhere. The reason being, both of those religions have irreformable dogmas from supposed infallible spokesmen. The LDS, their “prophets,” and the RCC their popes. Mormons reject one of Christianity’s central tenets – the Trinity, the belief in one God in three Persons. They also believe Joseph Smith Jr. is the first latter-day prophet who restored the original Christian church in the 19th century in America. They believe the entire structure of Christian orthodoxy affirmed by the post-apostolic church is corrupt and false. Additionally, Latter-day Saints are often criticized for their belief in “divine” books of scripture, aside from the Bible, including the Book of Mormon, the Doctrine and Covenants, and the Pearl of Great Price. It’s hard to believe those are the words of the president of an ostensibly evangelical seminary. I wonder if he purposely misstated the Christian position. We aren’t saying Mormons are “anti-Christian”; we’re saying Mormonism is not Christian. Frankly, many Mormons act more like Christians than Christians. That’s not the issue at all. The issue is: The teachings of the LDS Church, e.g. concerning Jesus Christ and God, are not at all in accord with what Christians believe. Therefore, it cannot possibly be considered Christian; that Mormonism is not Christian is just about as easy to spot as it gets in the kingdom of the cults. I think that an open-minded Christian reader of this book will sense that Bob Millet is in fact trusting in the Jesus of the Bible for his salvation. That is certainly my sense. Hmm, that’s Mouw’s “sense”; an interesting choice of words. This is his impression even after Millet has already told us in ADJ he also believes that, “Jesus was the firstborn spirit child of God the Father.” As you are about to see in detail, this is classic Mormonism and a definitive denial of the eternal Deity of Christ. You should be able to see this is not the Jesus of the Bible, which is the only One there is, and the One preached and believed by the Christian Church. I’ll begin to close this, for now; as a practicing Mormon here’s the LDS god Mitt Romney would believe in. We begin with the below from the Gospel Library Gospel Topics section of the LDS website itself. God the Father is the Supreme Being in whom we believe and whom we worship. He is the ultimate Creator, Ruler, and Preserver of all things. He is perfect, has all power, and knows all things. He “has a body of flesh and bones as tangible as man’s” (D&C 130:22). 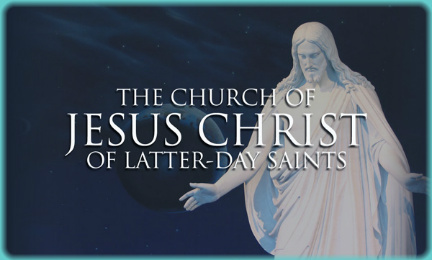 It’s important to keep in mind here that in Mormonism the Trinity has also been redefined; instead of, within the nature of the one God there are three co-eternal, co-equal Persons Who are the one God, the LDS Church teaches that Heavenly Father (Elohim), Jesus (Jehovah), and the Holy Ghost, are three separate gods working together with one purpose. It’s an incontrovertible fact that Mormonism is polytheistic (many gods c.f. Abraham 4:1), whereas Christianity is monotheistic (one God c.f. Isaiah 43:10). We’ve seen that the LDS Heavenly Father—whose name is Elohim—has a body; however, the eyewitness testimony of the Apostle John in his Gospel deposition quotes the real Jesus. The god taught by the LDS Church is not the God of the Bible; the fact is, the Mormon god doesn’t even exist. Walter R. Martin, The Rise of the Cults, [Grand Rapids: Zondervan, 1978], 12. Walter Martin, The Kingdom of the Cults, Ravi Zacharias, Gen. Ed. (Minneapolis: Bethany House, 2005), 252, emphasis mine . Robert L. Millet, A Different Jesus? : The Christ Of The Latter-day Saints [Grand Rapids: Eerdmans, 2005], 183. M. Russell Ballard, Our Search For Happiness–An Invitation To Understand The Church of Jesus Christ of Latter-day Saints [Salt Lake City: Deseret, 1982], 9, emphasis mine.